Hey y’all! I know it has been forever since I have posted an outfit of the day, but things have been crazy around here! Not only have I been super busy with class and work and life in general, but it seems like it hasn’t stopped raining in weeks! However, today marks the third day of spring break and it is sunny with temperatures in the 70s! 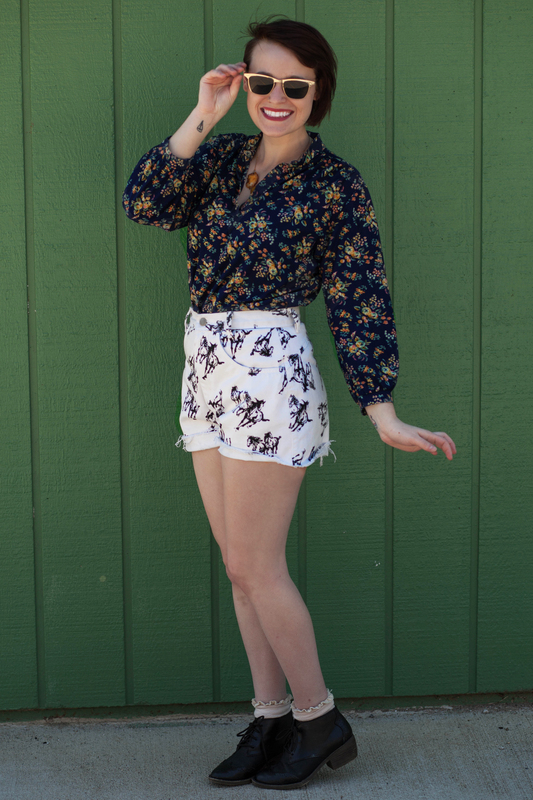 Dominic and I are headed to Kansas City for a few days of much needed vacation and I am feeling roadtrip ready in this head-to-toe vintage outfit, featuring the most amazing pair of shorts ever! 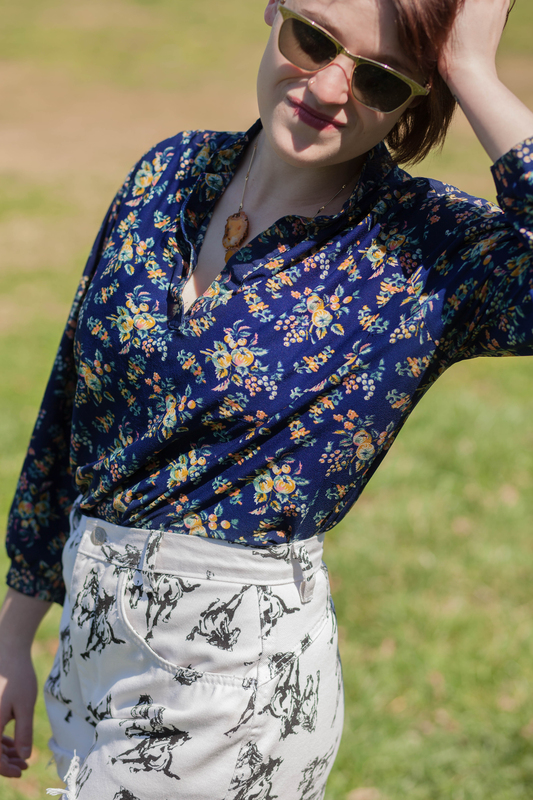 I mean, come on, not only are they vintage Levi’s but they have horses on them and are perfect for pattern mixing. This is definitely one of my favorite outfits to date, so check it out below!